A cat lover friend of mine asked if I could make her a black and white cat. 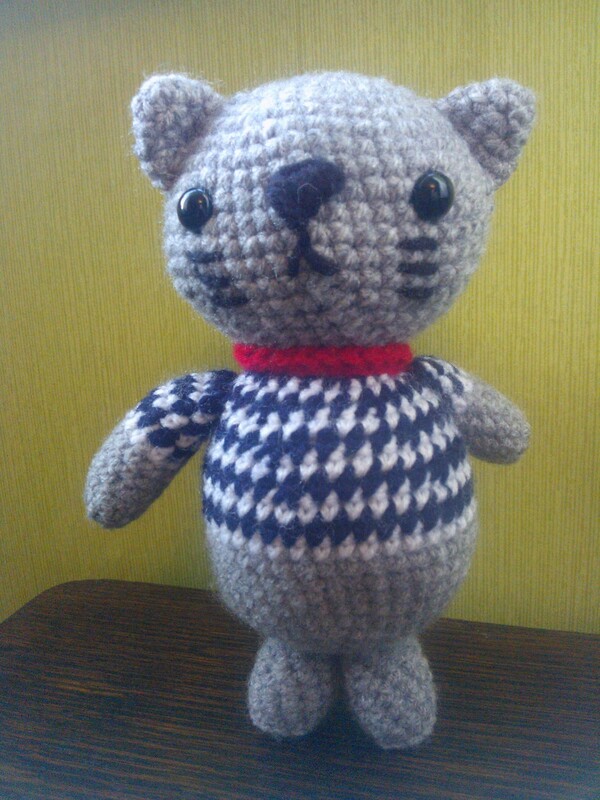 Once again I scoured the internet for a freebie pattern of a super dooper cute cat. I found a pattern but unfortunately it was only available in Dutch (or maybe it was German!!!). No problem I thought, Google translate will sort that right out. Well Google translate did the job, in a fashion, but I still had to decipher (sometimes by trial and error which meant pulling out lots of crochet) the translation. Also, I’m not a lover of crocheting with black wool, it’s hard to see and count the stitches but I persevered and so glad I did as the end result is one of the cutest things I’ve ever made. I’m glad I scribbled and crossed out and added notes all over the print out as now I can quite easily make more. 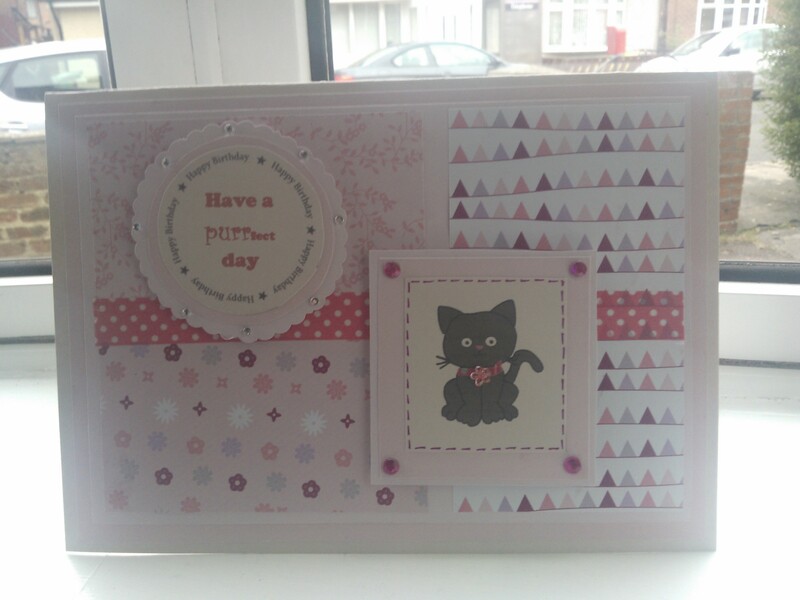 This and more of my creations can be seen on my Facebook Page – Dawn’s Handmade Cards and Gifts. If anybody would like a copy of my pattern please feel free to message me via my facebook page and I’ll send it on to you. My boss at work loves her cats so it was a no brainer which theme to choose for her birthday card. A very simple design and very quick and easy to make. She loved it.